What a week it’s been! Since we last checked in, לביאים has surely rocked the מחנה (camp) with laughter and surprises. Monday night featured Saturday Night Leviim, where the חניכים (campers) came up with several skits, sketches and songs to perform for each other. Tuesday featured more preparation by the בנות for their Powderpuff football match against מעלות, as well as more work by the חניכים on our חסד project, and a outdoor movie screening of “Inside Out”. Wednesday was a very hectic morning. We were treated to a waffles and ice cream breakfast, followed by a showing of Olympic highlights. Afterwards, we said goodbye to our beloved Director Debbie Sussman, who left to work for Camp Tel Noar via limousine, and installed a new director, our very own Mitchell Breslau. It was Maccabia break-out! 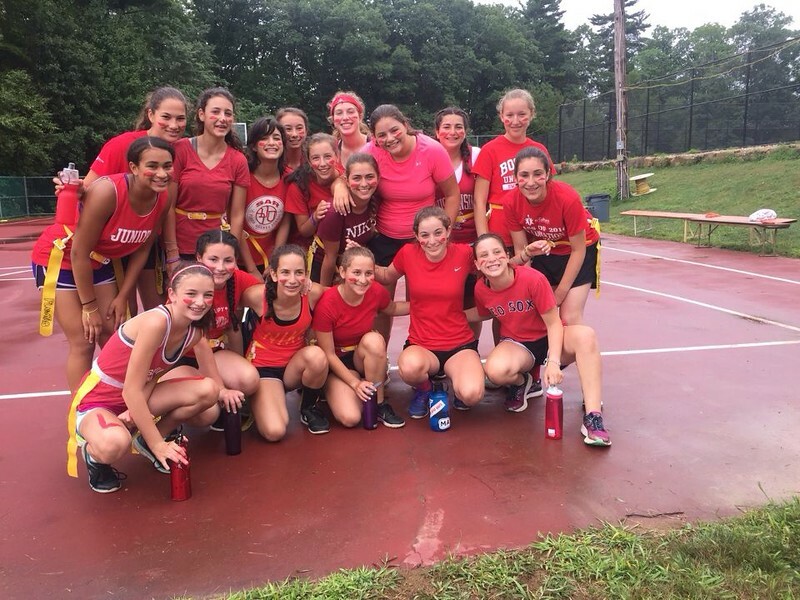 Maccabia, our annual color war, started with plenty of fun and thrills, but had to take a pause for the Powderpuff match. History was made, as לביאים upset and shocked the מחנה with a decisive and defensive battle, winning 14-7! After a celebratory jump in the אגם (lake), the חניכים joined together with the rest of camp for a סיום (ending a section of a Jewish book) in order to eat a delicious BBQ during the nine days leading up to Tish’a B’Av, before participating in and enjoying a family-feud game show. On deck, our last Shabbat of camp, Maccabia and packing (and tons of fun too)!! !